James Robert (“Bob”) Wesson was born November 1, 1921, in Jackson Gap, Alabama. He belonged to what television journalist and author Tom Brokaw called the “Greatest Generation” – the generation that survived the Great Depression and went on to serve in World War II. When the Japanese attacked Pearl Harbor, Wesson was 20 and working in a factory in Birmingham, Alabama. College was not yet in his future since his family was of modest means. The day after Pearl Harbor, Wesson listened to President Franklin Roosevelt’s “day that will live in infamy” speech over the loudspeaker on the floor of the factory. A few months later, he enlisted in the Army Air Corps, in which he served from April 1942 until October 1945. While he was in the Air Corps, he met and married Jan, his wife of 67 years, in March 1943. Wesson’s aptitude for mathematics was evident to his army superiors, and he was soon promoted to navigator training. By August 1945, Wesson was a lieutenant and assigned as the navigator/bombardier on a two-man A-3 airplane. He was stationed on the West Coast in readiness for an invasion of Japan when the U.S. dropped the atomic bombs on Hiroshima and Nagasaki to end the war. One of the characteristics attributed to members of the “Greatest Generation” is how hard they worked. Following his honorable discharge as a second lieutenant in 1945, Wesson exemplified this trait. He took advantage of the newly-enacted GI bill to attend Birmingham-Southern College, graduating in only three years in 1948 with a degree in mathematics. He then went on to obtain his master’s degree at Vanderbilt the following year in 1949. In 1953, he received the first Ph.D. in mathematics awarded by Vanderbilt. His dissertation was in the area of geometry. While working on his Ph.D., he also held a full-time teaching position as an assistant professor at Birmingham-Southern College from 1951-1953. Wesson enjoyed a distinguished career in mathematics. He was a professor of mathematics at Birmingham-Southern University from 1951-1957. He returned to Vanderbilt in 1957 as an assistant professor. He was promoted to associate professor in 1959 and to professor in 1966. He wrote several mathematics papers, as well as a widely used textbook entitled Lessons in Linear Algebra. He directed one Ph.D. dissertation and 11 master’s theses. He became professor emeritus in 1990. Wesson was the director of undergraduate studies for the Department of Mathematics from 1970 to 1977. For nine years (1962-1963 and 1965-1971), he received NSF grants to conduct summer institutes for college mathematics teachers. His research in numerical methods for solving differential equations was supported by a NASA contract for seven years (1962-1969). His peers in the Department of Mathematics remember him as a friendly, compassionate man of great integrity who was dedicated to his students and tireless in his service to the department and the university. Wesson was well known for his encouragement and guidance to young faculty members, particularly with regard to advice concerning teaching. During his long career at Vanderbilt, Wesson received many awards and honors. He received the Ellen Gregg Ingalls Award for excellence in classroom teaching in 1969. In 1976, he was awarded the Chancellor’s Cup for “the greatest contribution outside the classroom to undergraduate student-faculty relationships in the recent past.” He was given the Thomas Jefferson Award in 1981 “for distinguished service to Vanderbilt, through extraordinary contributions as a member of the faculty in the councils and government of the university.” In 1981, he received the Omicron Delta Kappa Award for exceptional student-faculty relations, and in 1987, he received the Alumni Outstanding Freshmen Advisor Award. 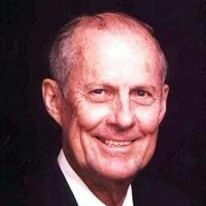 Wesson was an active member of several professional organizations: Mathematical Association of America (MAA), Alabama Association of College Teachers of Mathematics (AACTM), Tennessee Mathematics Teachers Association, and Sigma Xi. From 1964-1967, he served as the Governor of the Southeastern Section of the MAA and was a Visiting Lecturer of the MAA during that time. He also was a member of the Committee on Visiting Lectures and Consultants of the MAA. He served two years, 1956-1957, as president of the AACTM. Outside the Department of Mathematics, Bob Wesson performed a prodigious amount of service work for Vanderbilt. He was associate dean of the College of Arts and Science from 1978 to 1983. His service roles included the Admissions Committee (1958-1966); Academic Standards Committee (1962-1963, 1977-1978, and Chairman 1977-1978); Secretary of Sigma Xi for two years; Faculty Council (1963-1966, 1971-1974, 1977-1979); and the Educational Policy Committee (1963-1966, 1971-1972, chairman 1965-1966 and 1971-1972). It was under his leadership that the Educational Policy Committee formulated the new B.S. degree in the College of Arts and Sciences. He also served on the committee on NSF Cooperative Fellowship (for four years and chairman for one year); Natural Science Committee; Committee on Teaching and Learning(1968-1969); Committee on Individual Programs (1973-1976); Committee on the Honors Program (1973-1976); chairman of the Screening Committee for the Director of the Afro-American Studies Program (1976-1977); president of the Vanderbilt chapter of Phi Beta Kappa for one term; Committee on the Student Bodies of the 1963-1964 University Self-Study; University Senate (1968-1971, 1975-1978,1984-1986); chairman of the Committee on Student Affairs (1975-1977); Community Affairs Board (1975-1978); Executive Council (1976-1978); Chairman of the Selection Committee for the Dean of Student Services (1976): Committee on Athletics (1968-1970); Committee on Computer Resources (1968-1970); chairman of the Senate Committee on Student Affairs (1975-1977); Engineering and Science Fair Committee (for 10 years); University Appeals Committee (1977-1978); chairman of the Appellate Review Board (1977-1978); Engineering Science Evaluation Committee (1977); Senate Committee on Academic Policies and Services (1984-1986); and the Committee on the Status of Minorities and Women (1984-1986). Bob Wesson was a dedicated and tireless worker for the Department of Mathematics, the College of Arts and Science, and Vanderbilt University. In the truest sense, he was a scholar, an inspiring teacher, and an exemplary leader for the university. He left to Vanderbilt a legacy of high academic standards, hard work, dedicated service, honesty, and a sincere regard for his students. He had a profound impact on the Department of Mathematics and the university at large.